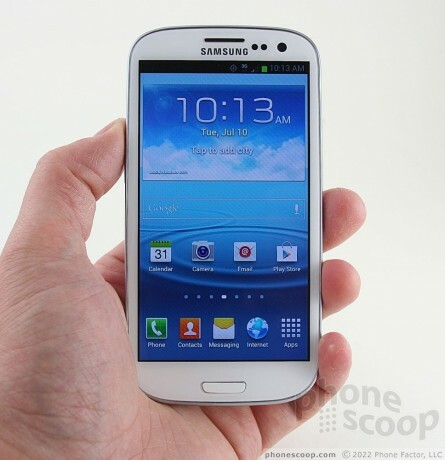 Phone Scoop takes Verizon's version of the Samsung Galaxy S III for a spin. Does anything set it apart from the AT&T, Sprint, and T-Mobile versions? We find out. 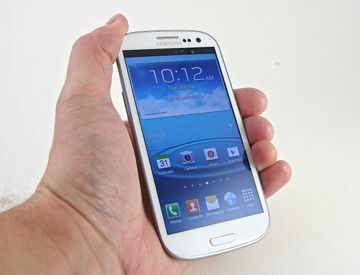 The Galaxy S III - Samsung's flagship smartphone for 2012 - finally lands on Verizon's store shelves this month. The GS3 may be Samsung's most important phone this year. In the hyper-competitive smartphone market, Samsung needs the GS3 to fend off devices such as HTC's One series and Apple's iconic iPhone line. Can it? The GS3 is so packed with features, even advanced users will have a hard time putting them all to use. If you want to carry one of the most advanced smartphones available, the Samsung Galaxy S III fits the bill. Since the Verizon Wireless version of the Samsung Galaxy S III is nearly identical to those sold by AT&T, Sprint, and T-Mobile USA, many portions of this review are identical to Phone Scoop's review of those phones. The proper sections of this review (primarily Camera, Signal, Sound, and Battery) have been updated to reflect the specific behavior of Verizon's variant. Did you have a chance or does anyone know how the S III holds up to use as a HotSpot? My Thunderbolt is useless as a Hotspot. It won't hold a signal for more than 5 minutes and when it does have a signal the speed is ridiculously slow. I would like to take advantage of my Unlimited Data with Verizon when I get my Nexus 7 and also be able to let the kids sync up their Nooks too when we are on the road or out and about.